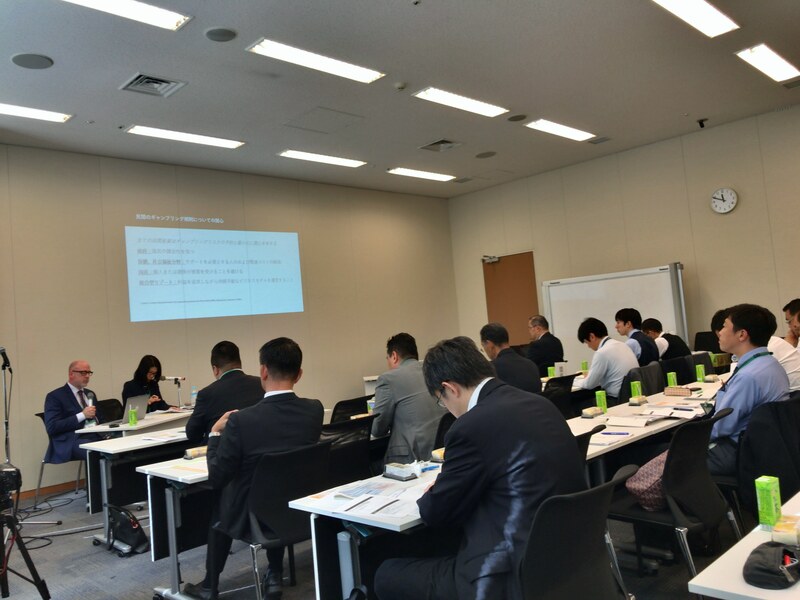 October 18,2018 The 1st IR Seminar was organized by the Japan IR Association. 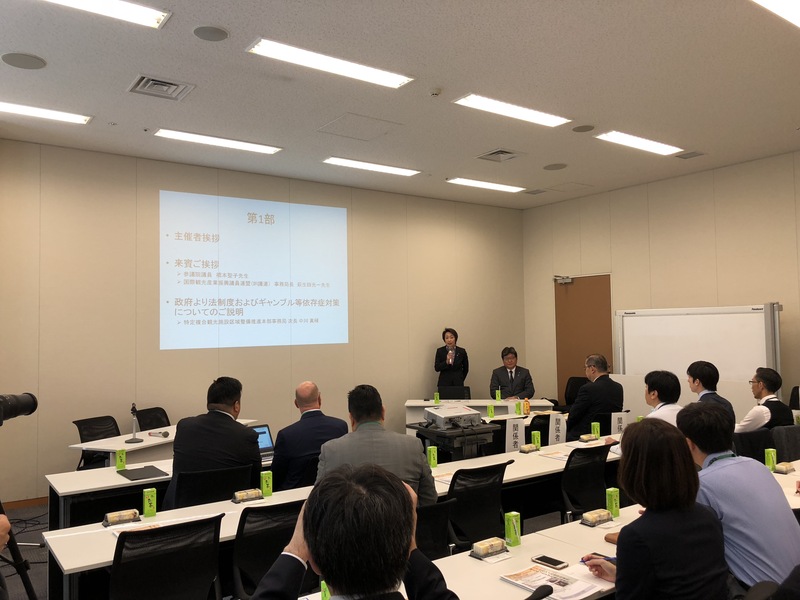 The seminar was entitled “Discuss Japan’s First Casino’s Problem Gambling through Canada’s Advanced countermeasure regulations & case studies” that discussion was held based on public policies cases in Canada, Ontario and other countries. The participants consisted of Diet Members, Local governments and related companies /organizations. 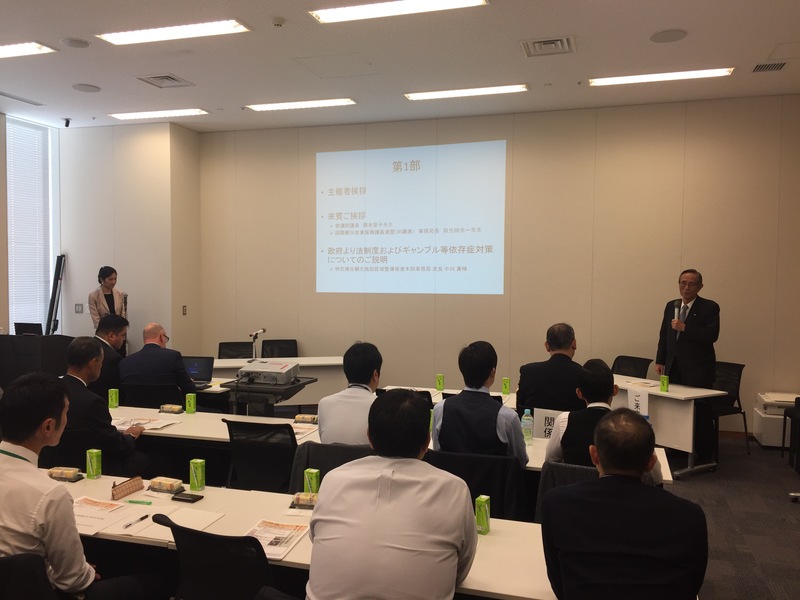 In the first part pf the seminar, Mr. Makoto Nakagawa, Dust General of Cabinet Secretariat of IR Team explained from the government about the IR legal system and gambling countermeasures, and in the second part, Mr.Paul Pellizzari, Former Ontario Lottery and Gaming Corporation (OLG) Executive Director – Policy & Social Responsibility talked about RG (Responsible Gambling) countermeasures in Ontario, Canada. In the third part, Mr.Paul Pellizzari and Mr. Naoyuki Nishimura, psychiatrist, RCPG representative director general, Certified Specified Nonprofit Corporation Recovery Support Network ‘s representative director had a Panel Discussion. In the session by Mr. Pelizali, the system design for inter-disciplinary planning model was emphasized closely cooperation of stakeholders, including governments, local governments, private organizations, and administrative bodies, and clarification of responsibility sharing. He also mentioned the policy to be implemented rationally and cross-overly both on the planning and operation perspectives. In the panel discussion, from the cases of Ontario and Massachusetts, casino resources are being utilized also in the social welfare system as a part of social safeguard, as well as in the problem gambling counter measure function in overseas such as in Canada, USA, and other countries. In the session, social model, not only the medical model, in terms of policy making perspective for pursuing sociality and public benefit was discussed.